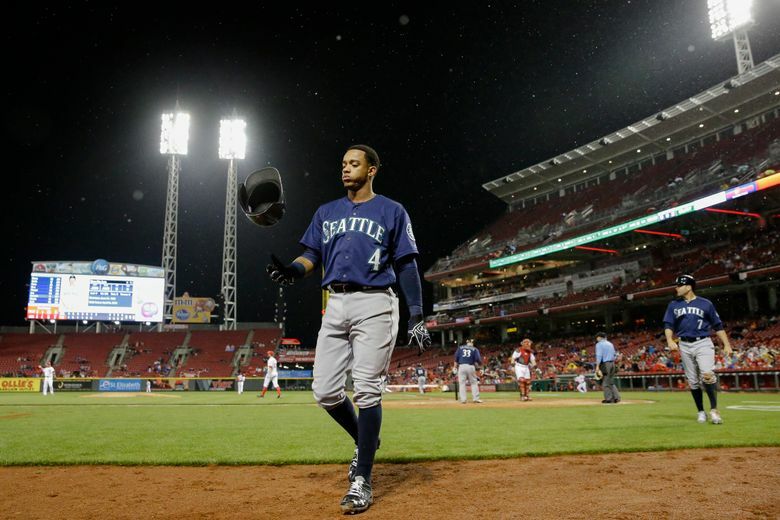 The Mariners tried to upgrade at shortstop last season in a trade with the Reds. The need is there again going into 2017. But can they find a way to make it happen? SCOTTSDALE, Ariz. — Jerry Dipoto didn’t list it as one of multiple 25-man roster holes that needed to be filled this offseason. Technically, the Mariners have a starting shortstop in Ketel Marte. But that doesn’t mean the position won’t or can’t be addressed/upgraded before the Mariners begin spring training in mid-February. The same concerns that led to Seattle trying to trade for Reds shortstop Zack Cozart at the non-waiver trade deadline on July 31 haven’t suddenly been assuaged in the time since that trade failed to materialize. After a solid late-season call-up in 2015 where he hit .284 with a .351 on-base percentage in 57 games, Marte was named the opening day starter in 2016. He then proceeded to struggle in his first full big league season at the plate and in the field. His hitting approach regressed, strikeouts piled up and his fielding was sporadic. He hit .259, but posted a .287 on-base percentage with 84 strikeouts in 119 games, while making three different stints on the disabled list with a thumb injury, an ankle sprain and mononucleosis. But the Mariners weren’t in a position to deal with learning on the job as they hung around the outskirts of the wild card race. They had legitimate postseason hopes and needed production. It’s why they pursued Cozart and seemed on the verge of acquiring him. He was a near-perfect fit — a proven player that was solid defensively and a capable right-handed bat that was under contract through the 2017 season. Cozart could’ve come in and finished the 2016 season and be penciled as the opening day starter in 2017. It would have allowed Marte to follow catcher Mike Zunino’s path of reconfiguring his approach and finding some consistency in Class AAA Tacoma. In the hours leading up to the non-waiver trade deadline, the Mariners believed they were on the verge of acquiring Cozart. The Reds had a list of approximately 10 Mariners’ prospects to choose from to complete the deal. Sources indicated that young lefty Luiz Gohara, one of the Mariners’ better pitching prospects, seemed like the most coveted and destined as the return cost. It was basically done. At that point, even the big league field staff, including manager Scott Servais, anticipated having a new shortstop hopefully by the next day’s game. As the minutes ticked down to the deadline, the Reds never consummated the deal. The reasons for the breakdown were never specifically given. There were theories and vague reasoning. One thought was the complications surrounding the Jay Bruce deal with the Mets put the trade on hold. There were also rumors of the Reds finding medical red flags on several players on the list. Regardless of the reason, the Mariners were forced to move forward with Marte at shortstop, occasionally using utility infielder Shawn O’Malley in some games. The lack of production was glaring and costly. The simplistic expectation would be for the Mariners to just reset and return to the possible trade for Cozart in the offseason. But it isn’t quite that easy. The market for all involved has adjusted. The draw for Seattle was to get Cozart for the final few months of the 2016 season and all of the 2017 season. Those critical months at the end of last season were part of the value. It obviously would re-adjust what the Mariners might be willing to give up to get him for only one season. There is also a question of health. Cozart missed seven games in mid-August with pain in his surgically repaired knee and then was shut down on Sept. 10 and placed on the disabled list with tendinitis in the knee. It’s a factor in any decision or return cost in a trade. The Reds also are rumored to have upped the asking price, believing there is an increased demand in Cozart to teams. It’s something that happens in the offseason. A one-year commitment to a player that is projected to make an affordable $4.7 million in his third-year of arbitration and produced a 2.5 wins above replacement (WAR) in a return season off knee reconstruction is valued. But Cincy is also in the awkward position of needing to find playing time for infielders Jose Peraza and Dilson Herera. Cozart impedes that process. Beyond Cozart, it gets a little more complicated for the Mariners in trying to upgrade. Viable defensive shortstops that have some ability at the plate aren’t something that teams are willing to move on from quickly in trades. The free agent market is lacking in shortstop help. The two notable veterans — Erick Aybar and Alexei Ramirez — are on the downside of their careers and showing serious regression in the field. The Mariners want a legitimate upgrade in production if they are going to make a move. Think of it as a bridge for a season that will allow Marte to get back on track. At just 23 and under club control, the Mariners aren’t ready to just move on from Marte, but they would like to be able to let him progress at his own pace. Of the Mariners’ noticeable needs, shortstop may be the most difficult to fill. Even as creative as Dipoto has been in making moves, if that option/upgrade isn’t out there then Marte will likely be the everyday shortstop in 2017. The Mariners released catcher Steven Baron on Wednesday after designating him for assignment last week. Baron, 25, hit .280 with seven doubles, a triple, three homers and 22 RBI in 67 games with Class AA Jackson this past season. The Mariners drafted him with the No. 33 pick of the 2009 draft. He played eight minor league seasons, hitting .234 for his career. Dipoto said he’ll look to six-year minor league free agents or possible lower tier veterans willing to sign a minor league contract to fill some catching depth for Class AAA Tacoma if needed.